Sniper Elite V2 Remastered launches on 14th May, Rebellion has announced. That’s on PC, PlayStation 4, Xbox One and Nintendo Switch. 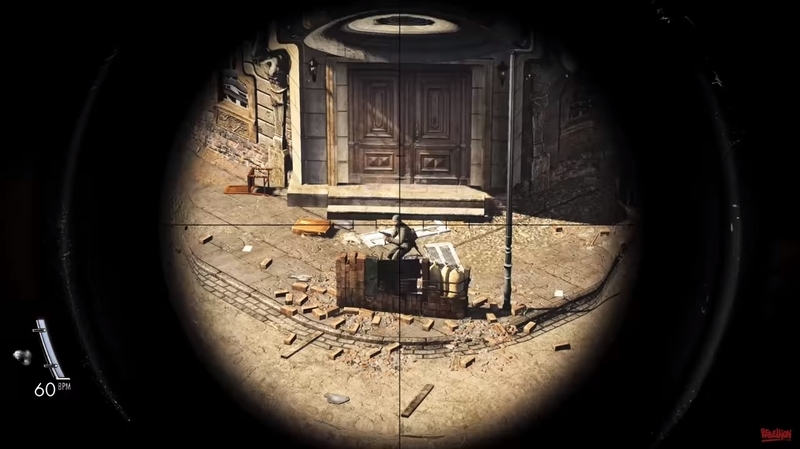 Sniper Elite V2 is a World War 2-themed third-person stealth shooter first released in 2012 for the PC, PS3 and Xbox 360 (it came out on Wii U a year later, in 2013). You play an American officer who has to capture or kill the scientists involved in the German V-2 rocket program as the Red Army invades. Sniper Elite V2 Remastered has 4K and HDR support, as well as updated environments, characters, weapons and vehicles. Rebellion mentioned “modernised rendering and post-processing effects, enhanced texturing and level geometry, a revamped lighting system, and dozens upon dozens of improvements and refinements”. Elsewhere, there’s a new frame-by-frame photo mode, seven new playable characters from Rebellion’s Zombie Army series, expanded multiplayer for up to 16 players online (up to eight players online on Nintendo Switch), plus all the additional content ever released for the game, free. Sniper Elite V2 Remastered costs £29.99, although if you already own the original edition of Sniper Elite V2 on Steam you can upgrade to Sniper Elite V2 Remastered for £6.99.